Often home renovations end up being a bigger task to take on than estimated initially. If you find yourself needing extra help with your renovation, a handyman for the Sydney area has the skills you need. At Skill Pro Handyman, we have experience with everything from small home repairs and maintenance to substantial renovations. Our professional and reliable service will leave you 100% satisfied no matter how difficult the job. When you need to hire a handyman for your Sydney home repairs or renovation, our professional technicians have the skills and knowledge to cater to a wide range of services. Whether it’s a full bathroom renovation or repairing an electrical outlet, you can conveniently access various Sydney handyman services through our team of professionals. Regardless of how difficult the job is we provide the same high standard and professional service to customers with our friendly and qualified team. Our workers take pride in their craft and complete the task to the highest standard. You can be confident in their work ethic and skills even if all you need is help to assemble a kitchen flat pack. Efficiency and competence are the goals throughout every job, from a simple plumbing repair to a full-scale bathroom renovation. Our company has been operating for over 15 years offering handyman services to the Sydney area at fair and competitive prices. We use the highest quality material and tools to ensure that we complete each repair, maintenance or renovation to a premium standard. Our technicians are of a high professional standard and are skilled in carpentry, service and maintenance. They take pride in their work and are trained in OH&S legislation making sure that all work is undertaken safely. We know that as a homeowner you take pride in your property as well as your house. You can save yourself the hassle of seeking out multiple service companies with our skills extending from the inside of your home to the outside. Our handyman services for Parramatta and Sydney include those hard tasks of concreting, landscape gardening, roof tile replacements, pressure cleaning, watering systems and much more. Our licensed and trusted handymen will work to complete your interior repairs as well as your exterior maintenance to provide you with a well-rounded service from one company. Without compromising on quality, our technicians will work efficiently and quickly without charging for overtime. 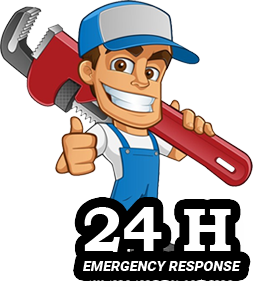 We also understand that some repairs happen at the most inconvenient time which is why our mobile handyman services operate 24 hours a day for immediate and emergency repairs. For all your renovation, repair and maintenance services, both internal and external at your home, contact us today. Our qualified handymen will take to the task with professionalism and enthusiasm to complete it promptly. Our superior customer service means you will be delighted with the work carried out on your home.